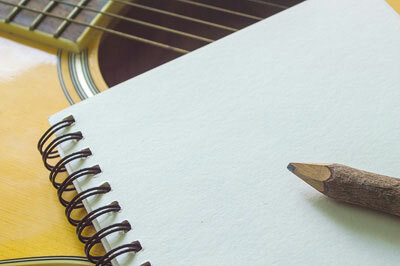 To share or not to share, that is the question – for songwriters, at least. Many songwriters don’t want to preview their songs for anyone, usually due to fear or pride in their songs. They prefer to keep their masterpieces a secret from the world until the big day when they will make their grand entrance, top the music charts, and impress the masses. Problem is, when songs are kept secret, songwriters miss the opportunity to gain valuable feedback from others. While it takes courage to let others give their opinions and constructive criticism, songwriters that do so will find answers to some crucial questions. 1. Does your song concept work? What is your song about? Is your song concept catchy, unique, innovative, or relatable? If it isn’t, it’s time to ditch it and start over. It’s not worth polishing and refining a song whose core is not strong. 2. Is your song a flop? When you hear a bad song, you just know it. If a song has no redeeming qualities or nothing impressive about it, it is probably time to scrap the song entirely and move on to writing another one. 3. Is your song average? Some songs are just ok. They don’t stand out from the crowd, usually due to melodies that aren’t memorable, lyrics that are cliché, or subject matter that isn’t unique. In such situations, you’ll face the tough choice of overhauling much of the song or scrapping it completely. 4. Is your song a hit? When you hear a hit, you want to hear it again, you remember the melody, and you want to tell others about it. If many people tell you your song is a hit, it’s time to refine it as much as possible and get to work pitching it and getting it to market. 5. What specific areas are strong and which areas are weak? Some songs have rockin’ choruses and weak verses. Others have great melodies and sloppy lyrics. Whatever the combination of good and bad elements in your song, by identifying strengths and weaknesses, you’ll know what areas you need to rework and what areas you should keep. Since everyone has their own opinions that may or may not reflect what the market would have, it is best to get a solid sample size of people to critique your song to ensure that personal bias doesn’t sway what you do with your songs. If you get 5-10 people to critique your songs, that should be enough to help you be on your way to improving and getting closer to writing that next top 10 hit. Company founder Gil Grand has more than 27 years experience in the music industry. He's an award-winning music artist, songwriter, publisher and record producer. Gil has been instrumental in securing cuts like "Tomorrow" by Chris Young which became a huge number one Billboard country hit in the USA.